To be honest, I wasn’t really quite sure where Ormond is. Having now visited it to see Box Cottage, which was open for History Week, I can now tell you that it’s on the Frankston train line. Ormond station has been rebuilt as part of the Level Crossing Removal Project and looks quite a lot like Rosanna station except that it is below street level and Rosanna is high above it. I guess that there will be a legacy of these concrete and stainless steel stations, with their orange and limegreen geometric ‘decorations’. North Road Ormond is rather unprepossessing. We had lunch at Mountains of Bears, and it was excellent. It’s located down a little 1950s arcade with tables outside in the arcade, as well as in the cafe. We had an excellent paella- better than I had in Spain and much closer to home. They took a great deal of care with their coffee art. We had ventured down to Ormond to visit Box Cottage Museum, which houses the City of Moorabin Historical Society. The cottage has been reconstructed after falling into disrepair on the adjoining block. Another house had been built in front of it, and so it stayed at the back, used as a shed in what had by 1970 become a timber yard. The timber yard owner, Mr Lewis suggested that the cottage be dismantled and relocated. It was reconstructed in the adjacent park as part of Victoria’s bicentenary, with timbers donated by Mr Lewis. The original owners were William and Elizabeth Box, who arrived in Melbourne in 1855. At first they leased market garden allotments before they purchased two ten acre lots on what had been the Dendy Special Survey in 1868 and 1869. The cottage was built sometime in the 1850s. They were successful market gardeners and raised 13 children in the cottage before building the larger house at the front. From 1917-1970 it was occupied by the Reitman family who leased and then purchased the houses and land. 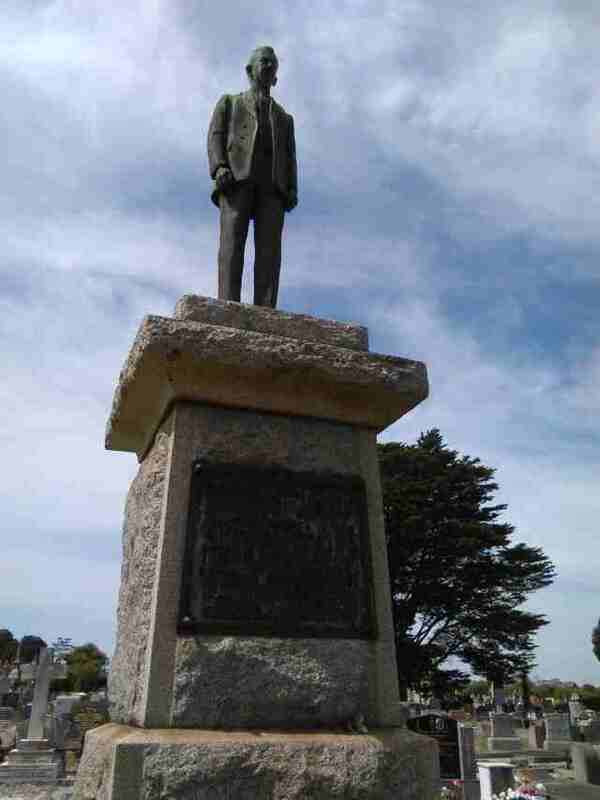 August Reitman was a monumental mason, potter and sculptor, and was employed to carve war memorials in Victoria after WWI. His business shifted to Highett and the cottage was used as a workshop. There is also an outside barn area with agricultural and household artefacts, including an original wagon that took vegetables from the market gardens to Melbourne. Because of the sandy road, a sort of tram line was built into the roads to assist the wheels on heavily laden drays. Box Cottage was open today for History Week, but it generally opens on the last Sunday of the month between February and November between 2.00 and 4.00 p.m. The sun was shining and we had no commitments. So we hopped into the Big Red Car and drove up to Kyneton, about ninety kilometres from Melbourne. A former gold rush town, it still has many original buildings and the wide streets and verandahs of an Australian country town. For many years it has been a favourite ‘Sunday drive’ destination with antique stores and restaurants. Kyneton isn’t far from Hanging Rock, which is going to be the setting for a ‘Too Many Mirandas’ flashmob later in February. Feel like joining them? Here’s the video so that you can learn the dance. It looks like fun. But I think I’m more Miss Appleyard than Miranda or even Ethel. There was a stonemason’s yard where they were operating a hand-operated crane to move some marble blocks. Fancy a headstone with a bit of Os-tray-iana on it? The museum was open so of course we went in. They’ve obviously had lots of financial support for the museum, which was housed in a former bank building with lots of land attached. Their main exhibition in the front rooms in on loan from Tennis Australia, and features lawn tennis objects, including a Teddy Tingling tennis dress. In the grounds outside they had a very well-preserved timber slab hut. The original hut had been built around and encased in weatherboards, leaving the original hut in very good condition. It was originally located on a local farm property but has since been shifted to the museum. The pig shed from the local market was shifted to the museum site too, and is now used to display agricultural equipment. There was a Furphy water cart there, dating from 1920. I’d never noticed what looked like hieroglyphics on the tank end. Steve thought it looked like shorthand, and according to the ADB, that’s exactly what it is, apparently exhorting the reader to stay away from strong drink and stick to water instead. They even have a bluestone structure that no-one really knows why it was built. They think it might be a pigeon loft because there are alcoves built into the walls which might be used for nesting, and steps leading down from the windows for young birds just learning to fly. It had at various times been used as a morgue too, but no-one really knows. Upstairs in the old bank building the rooms are still laid out as they would have been when it was used as the bank manager’s residence. All in all, well worth a visit although I wish that someone from the local historical society had been in attendance because the woman working there, while very welcoming and helpful, did not come from the area and her knowledge of Kyneton as a broader area was limited. After museum-ing, it was time for lunch. How could we pass a bakery that had won so many prizes? Pies, vanilla slices- it just cleaned up the competition! I’m obviously not good at this taking-pictures-of-your-food thing because I’m sure the pie looked better before I started eating it. At least I took a photo of the very good vanilla slice before I hoed into it. A final drive to the Botanic Gardens, where the National Trust heritage-listed trees were carefully listed in a useful pamphlet available as you go in the gate. Then we headed for home, going past the school. In the local community newsletter it appears that the school site is about to be closed because a new school is opening up and there’s a movement afoot for the old school to be used for community purposes. It’s a beautiful bluestone school, with a WWI memorial to fallen former scholars right in the playground where the kiddies play. 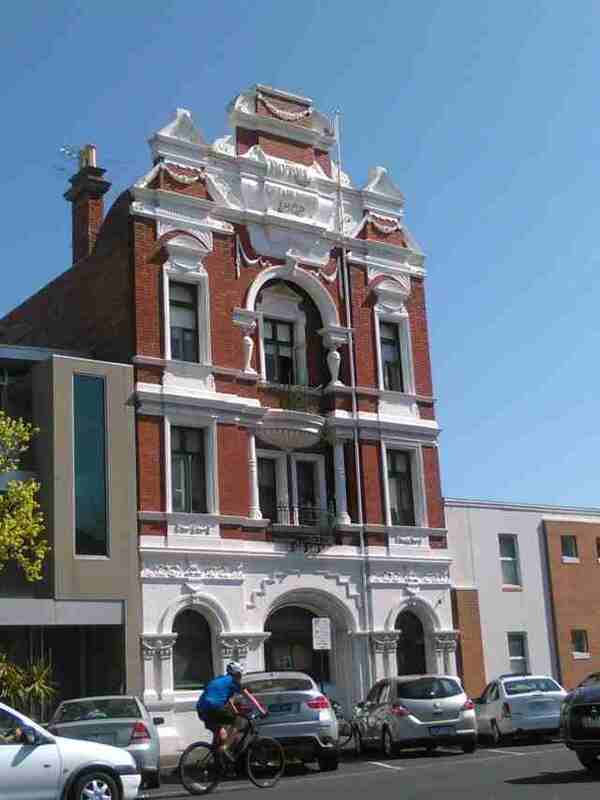 But Kyneton has just so many historic buildings for community purposes and a limited, albeit active, population to use them. Wait and see, I guess. But the weather gods were kinder on this inaugural Grand Final Public Holiday. Had it rained, or been one of the bitterly cold days that spring can buffet us with, it might have been an absolute flop. Certainly the employer groups were grumbling about it and Prime Minister Mal was gloating about the lack of crowds early in the morning. But instead, the skies were blue, the sun shone, the crowds came out after a sleep-in and a new tradition has started, I suspect. It was lovely to see so many Dads with their kids on this day, whether they went to the parade or not. As for us, we caught the train to the ‘other side’ to Williamstown. I felt like quite the tourist, noticing the benighted Melbourne Star ferris wheel (was it working or not?) which can’t be seen from the northern suburbs; marvelling at the size of the cranes on the docks, and wondering which old factories or stockyards had been levelled to yield all this new housing. I was surprised that the train carriage still had the configuration of 3-across seats. 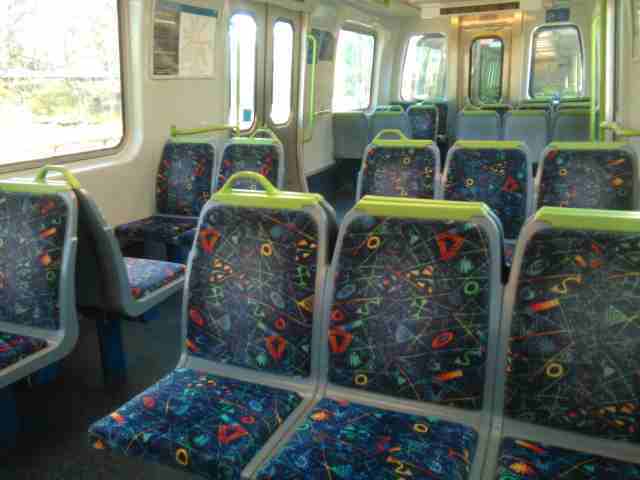 On the Hurstbridge line (my line) they have removed the third seat so that more people can stand. 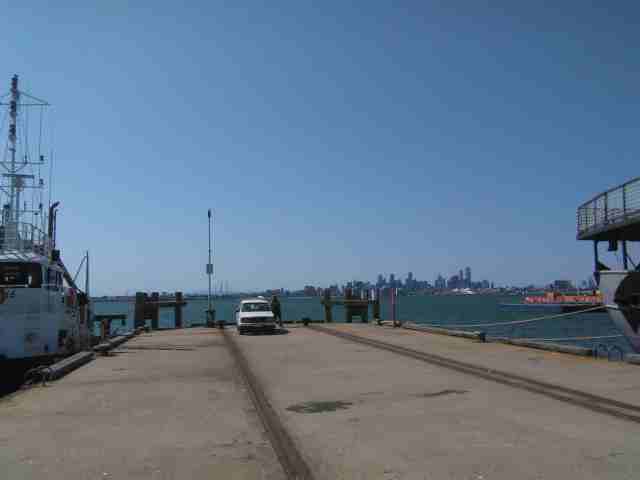 Williamstown is only 8km from the centre of Melbourne but somehow it feels like a completely different place, with Melbourne visible across the water. When Governor Bourke came down to the embryonic Melbourne village in 1837, he ordered surveyors to lay out two towns: Melbourne after the British Prime Minister and Williamstown (or Williams Town) after King William IV. With its deep harbour, it became the centre of maritime activity. The Alfred Graving Dock and State shipbuilding yard was completed there in 1874, one of the most expensive infrastructure projects undertaken by the Victorian colonial government. Prison hulks were stationed at Williamstown and this was the site of the murder of the infamous John Price, Inspector General of Penal Establishments. This is the bluestone morgue, now in Ann Street, moved from its original position on Gem Wharf. It was constructed in 1859, only a short time after the first morgue was fully completed in Melbourne, possibly at the Western end of Flinders Street (an earlier morgue started near Princes Bridge in Melbourne in 1853-4 was never completed). The Williamstown morgue was built using convict labour from the hulks and it was sited on the wharf where the tidal waters could wash away the…um…waste. Many hotels (many now disused) catered for the port labourers. 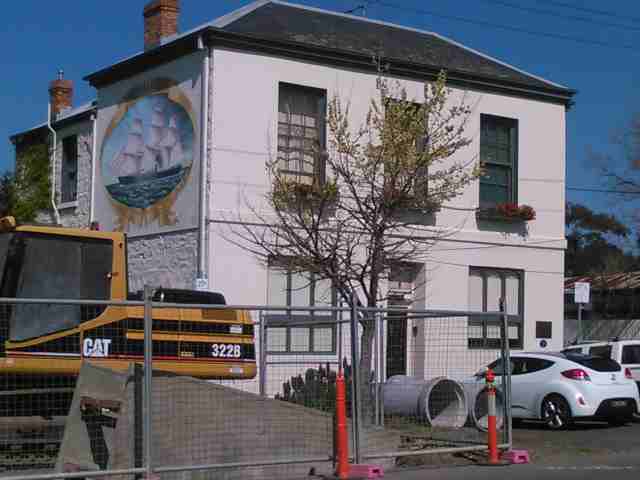 However, it was notable as we walked around, reading the plaques attached by the Williamstown Historical Society and the Hobsons Bay Council, that many of these pubs were built from the 1860s onwards, replacing earlier buildings. There’s a lot of new development happening down there again, and I posted earlier about an old house that didn’t survive. Hotel tricked up to reference the Titanic. I guess someone thought it was a good idea at the time. The first hotel on this site was the Royal Oak, built in 1852 but it was replaced in 1893 with this rather grand edifice. 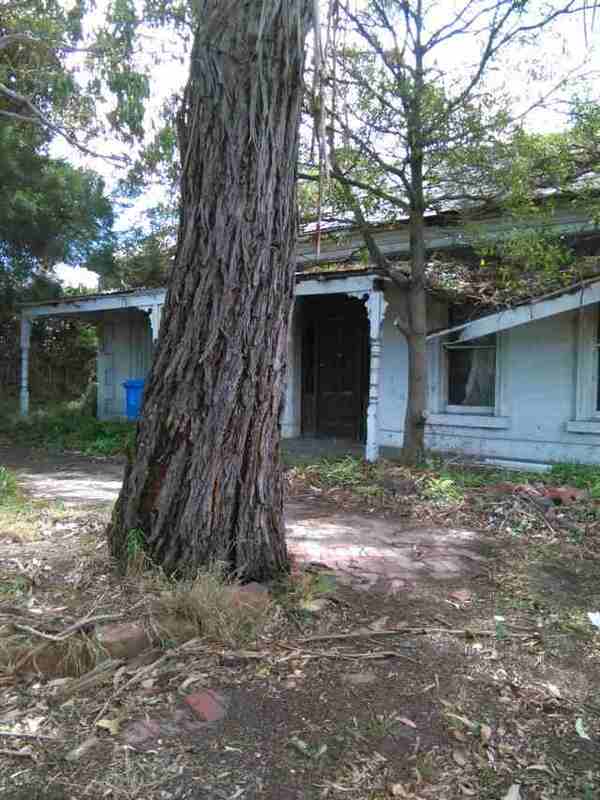 It has been used as a boarding house for many years. 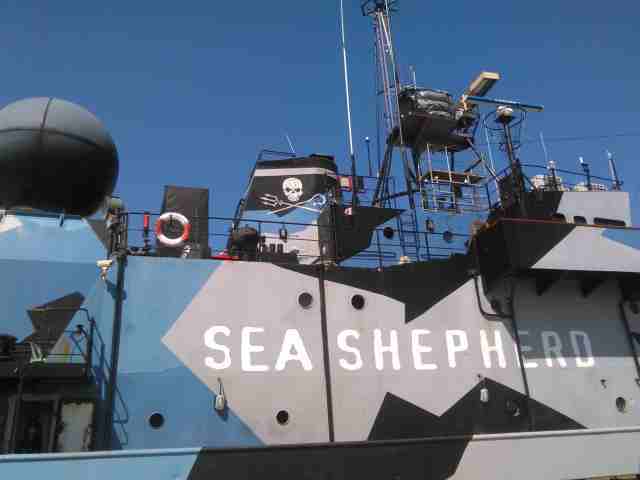 No sign of the Shenandoah, but there was another controversial ship- the Steve Irwin, part of the Sea Shepherd fleet. 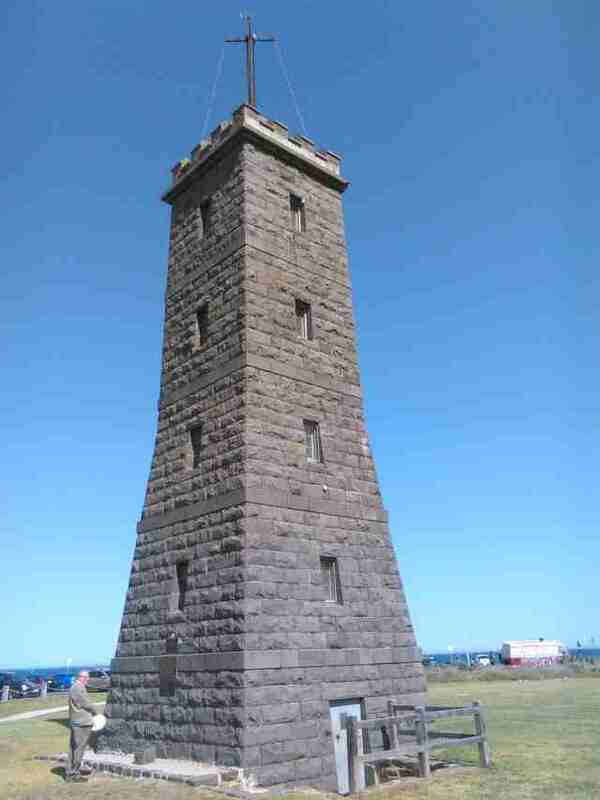 The Williamstown Tower was built in 1849, originally as a lighthouse, then after it was taken over by the Williamstown Observatory, a timeball was fitted and it served as a timeball tower between 1861-1926. At precisely 1.00 p.m. each day the timeball would descend, marking the time exactly for ships anchored out in the bay so that they could adjust their chronometers. Wikipedia tells me that it’s the second oldest lighthouse in Victoria. We had a very good lunch at Tick Tock Cafe, followed by an ice-cream sitting in the park, then headed for home. The train was filled with people who’d been in at the Grand Final parade and good feeling abounded. The first Grand Final Public Holiday has been a resounding success, I should imagine. Saturday a few weeks back was a beautiful autumn day and the feeling of sheer panic over the thesis had abated (just for the moment) enough that I felt I could indulge myself with a day off. So onto the train we hopped for a day trip down south to ….Brighton. Why Brighton? 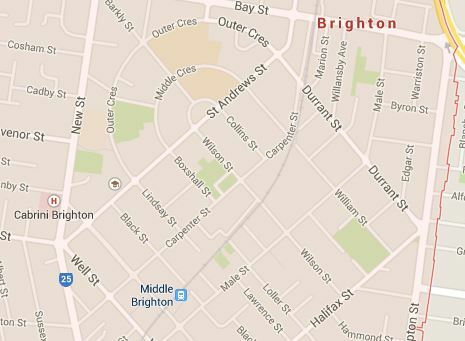 Well, Brighton was established very early as a suburb of Melbourne-( as Heidelberg was)- and there are some interesting houses down there. Henry Dendy, an English speculator based in England,had purchased the land in August 1840 as part of the short-lived special survey scheme and arrived in February 1841 to take it up just before Gipps introduced regulations to prevent prime land being sold off at bargain basement price in March 1841. The land was laid out in a very Georgian style with crescent avenues and large blocks, but sales faltered and Dendy was forced to relinquish it. It was purchased by J. B. Were, Dendy’s agent and a well-known speculator who fell under Judge Willis’ eagle eye. So we downloaded a historic walk (St Cuthbert’s trail) onto our phones from the very helpful Bayside City Council site and off we went. I had a yen for a cemetery (as one does), so we got off the train earlier and walked down to Brighton cemetery first. We were mystified by this tall memorial, with a beautifully rendered copper sculpture on the top. James Coppell Lee? Who was he? I looked him up when I returned home and found that he was the 19 year old son of the owners of the James Coppell Lee copper foundry, which is still operating- amazing! His workmates crafted the copper statue based, apparently, on his cousin because they had no photographs of him. Thc victim of the accident was a youth, James Coppell Lee l8 years of age, whose parents reside at Pyrmont, Barkly street, St Kilda. He had been spending the holidays at Mornington, and with two companions, J Cook, l8 years of age, who lives in Fitzroy street, St Kilda, and P Ratchford, 20 years of age residing m High street. 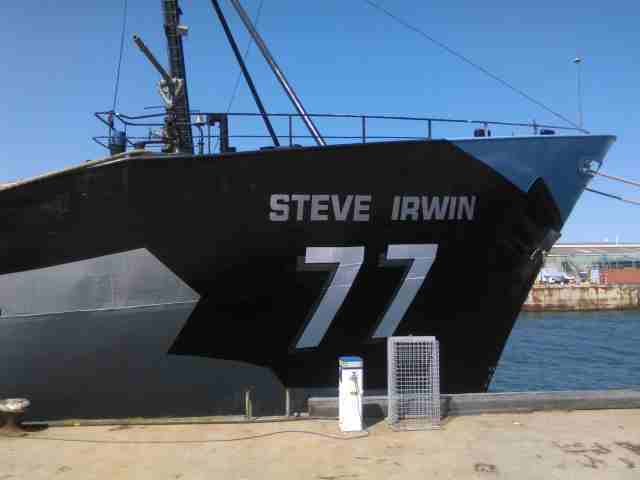 St Kilda, he decided upon a fishing cruise in the Bay. With this object the three youths hired a 15ft. rowing boat at 5 o clock on Tuesday evening. Setting out before dark, they cruised along the shore as far as Grice’s beach, four miles from Mornington, and pitched a camp there so as to permit of an early departure on Saturday morning for the schnapper grounds. Though a rather choppy sea was runnig the party pulled out to the reef and remained fishing there for considerably over an hour. Enough sadness. We caught a tram down to the Nepean Highway and had a very nice lunch at a deli place, then headed off for Middle Brighton. It was further than we thought, so we caught the bus. Dammit, it was an all-day ticket- we were determined to make the most of it. From there we followed the St Cuthbert’s walk, which you can is online here anyway, so I won’t repeat it. It meandered around the curved avenues in Middle Brighton, around Firbank Grammar. One of the sites described on the walk was a house at 12 Middle Crescent, described as a single-storey Victorian villa built for a dairyman in 1877, when more conventional villas replaced the early 1840-50s cottages. The house itself was unremarkable but I was struck by the house next to it, which was very similar and obviously being allowed to fall into disrepair sufficient to undermine any value of the house (as distinct from the land, that is, which was in a very prestigious spot). The heritage-listed Brighton Civic Centre was a curious-looking building, erected in 1959 and probably more valued now than it might have been in the mid 1980s, I’d say. Back onto the train, then “Home James and don’t spare the horses”. We’d had value from our day ticket- four trains (two each way), a tram and a bus, and a pleasant day was had by all. Well, it’s not quite over yet! 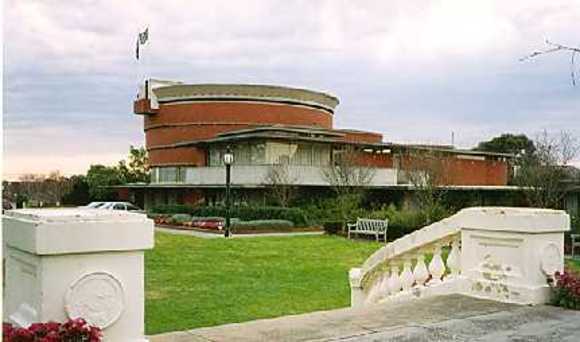 You can catch this exhibition at the beautiful Art Gallery at Ballarat before it closes on July 27th 2014. When we talk of ‘British’ settlement in Australia, we often glide over the fact that this included English, Scots, Irish and Welsh settlers and officials. Hidden in plain sight is the fact that Scots permeated the empire, both as agents of colonialism through their Scottish enlightenment skills in botany, surveying and art, and as settlers in their own right. Once you’re alert to this, you find them everywhere in colonial Australia- and in my own research into Upper Canada and British Guiana, they’re there as well, as this Slaves and Highlanders site conveys. Their Scots ties were not left behind, and they were reinforced in new colonies by the church (both Presbyterian and Catholic), Scottish organizations and the familial networks between new settlers. This exhibition of artwork and artefacts underscores the importance of the Scottish artists who accompanied the First Fleet (think Sidney Parkinson), and those officials who dabbled in artwork in the early Port Jackson settlement (think John Hunter). Their education and scientific learning , to say nothing of toughness), fitted them well as explorers (think Stuart and Sturt and Major Mitchell) and their financial acumen and entrepreneurial nous served them well as merchants (think Robert Campbell) and agriculturalists (think William Anglis). They were governors (think Lachlan Macquarie) and firebrand preachers ( think John Dunmore Lang) . When Queen Victoria adopted Balmoral into her ‘brand’, Australians did too, and Robert Burns and Highland games became incorporated into the Britishness that colonial Australians held onto while at the same time developing their own variation. 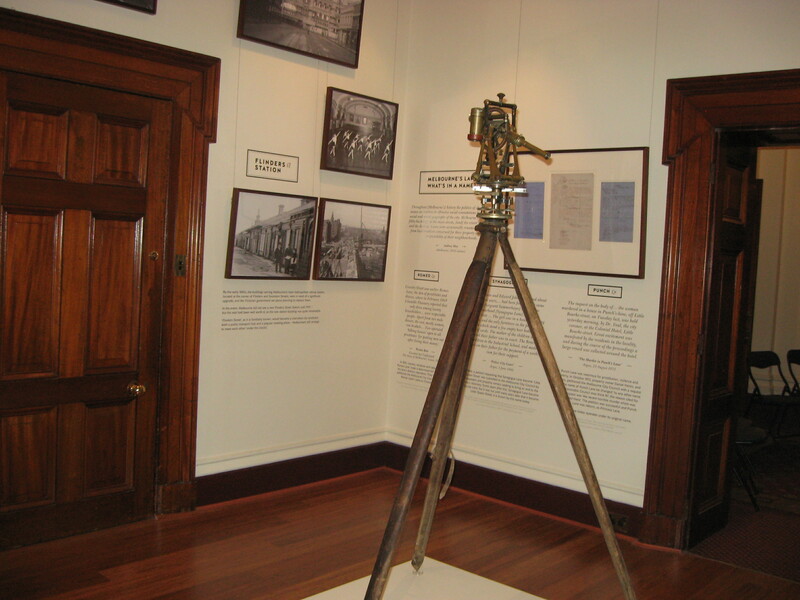 All these aspects are explored in this exhibition which covers the First Fleet to Federation. There is, as you might expect in an Art Gallery, an emphasis on artwork which is drawn from many collections, including the Natural History Museum in UK. (I liked the fact, conveyed through one of the information panels, that a wombat skin sent ‘home’ by one of the early Scots settlers is displayed standing on its two back paws). But there are some objects as well, including a silk scarf commemorating the Scottish Martyrs who were sent here as convicts (an EXCELLENT Radio National podcast on Thomas Muir here). An introductory panel warns that women are not heavily represented in the display, but Georgiana McCrae had a presence. The dearth of women might have been ameliorated by a stronger focus on family connections, which was hinted at with the displays on Thomas and James Mitchell, but not really brought to the forefront. It could likewise have been drawn out further with Georgiana McCrae whose brothers-in-law popped up in different aspects of Port Phillip Society. Family connections, the networks across colonies, and chain migration as one son, then another, then the whole family came across, ensured that the Scots spread across Australia and the empire generally. They became part of, and shaped their new communities but retained still an emotional attachment to their Scots identity. I would have loved to have purchased the book that accompanied the exhibition but it was just SO expensive. It was available in hardback only, at $79.95. I’d gladly buy a softcover book for $40.00 if it were available (even though the glue binding them is often inferior) but double the price is just too much. The same applied at the Bendigo exhibition we attended recently. I’m pleased that the regional galleries are mounting such well curated and well publicized exhibitions. And we certainly weren’t alone in our enjoyment. It was a bitterly cold Ballarat Sunday afternoon, and the gallery was comfortably full. I was saddened to read some time ago that Job Warehouse was closing down. Melburnians will know what I’m talking about: a grubby, shambolic fabric shop up the Parliament House end of Bourke Street that seems have been been there forever. Job Warehouse (54-62 Bourke St) was spread over several shops in a double storey row that was constructed in 1848-9. 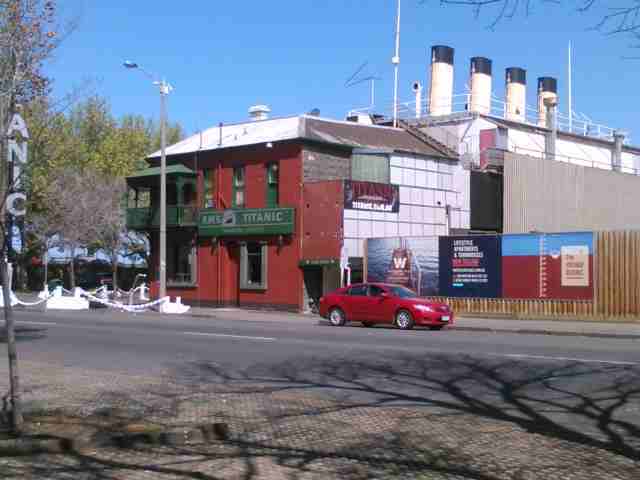 As such, it is one of a handful of pre-gold rush buildings still standing in Melbourne. It is constructed of rendered stucco on a basalt plinth. The western part of the building, nos. 60-62 Bourke Street, was built by a well-known butcher William Crossley as a shop, slaughter yard and residence, and the landscape artist Eugene von Guerard lived in number 56. 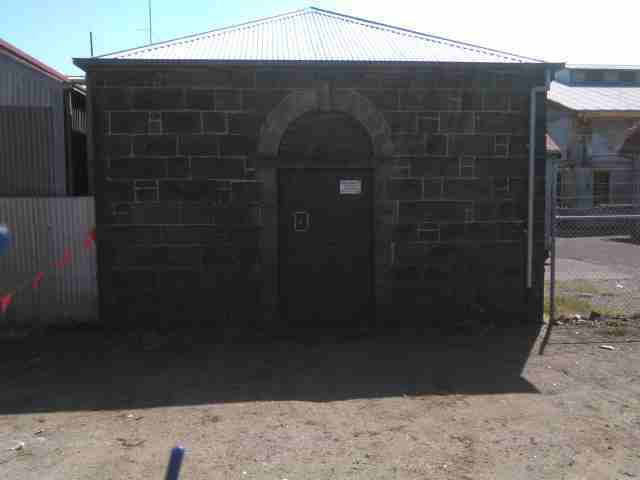 It is registered on the Victorian Heritage Database. [Check out the pictures on the database entry]. I should feel reassured by that, but after my Banyule Homestead adventures, I don’t. There’s even a video from the Late Show where Tony Martin and Mick Molloy get kicked out and try to re-enter in typical Chaser fashion. It starts at 3.00 minutes in and goes to 4.30. When Max died in 1988, Jacob continued on in the business, closing the haberdashery section that Max had run as a mark of respect. Jacob died in 2005 aged 91. His sons decided to close the business in 2012 and lease the building, possibly for restaurants. Well, that hasn’t happened yet. Job Warehouse is closed but not gone completely. Walking up Bourke Street, I was surprised that it still looked much the same, and if I pressed my face up against the grimy windows (that, to be honest, were not much grimier than when the shop was in full operation), I could see that it looks much as it always did. 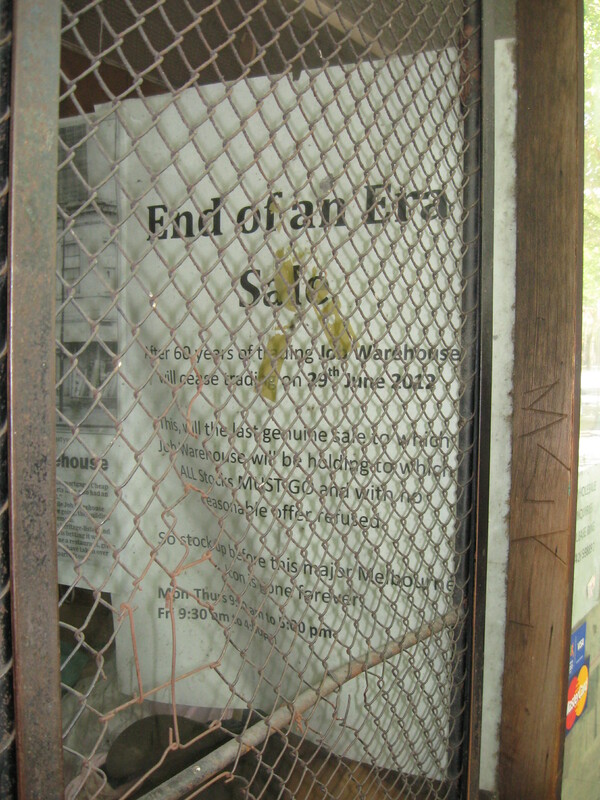 There are still bolts of material, great snarls of lace, yellowing papers and dust. Just for now, I can imagine that it’s still operational. After all, it was always shut when I saw it, and a new owner could step right in and take over where the Zeimer brothers left off- if he or she had a mind to. While I sometimes feel as if I am the only person who’s not away at the beach, the mountains or where-ever everyone else goes, there are some advantages in being home during the close-down around Christmas and New Year. Off into town we went yesterday, feeling like tourists in our own town, to see the ‘Streets of Melbourne’ exhibition at the Old Treasury Building. It’s on until May 2014, so there’s plenty of time to catch it! If you haven’t been to the museum in the Old Treasury, I strongly suggest that you pop in. It’s FREE, it’s grown-up and it gives a much better narrative of the history of Victoria than the House of Fun that pretends to be the Museum of Victoria. It’s open every day except Saturday between 10.00 – 4.00 each day, and its website is here. The building itself was designed by J. J. Clark, who was only 19 when he started work on it. It is a three-story Rennaisance Revival- style building, constructed between 1858 and 1862 at the cost of approximately 75,000 pounds. 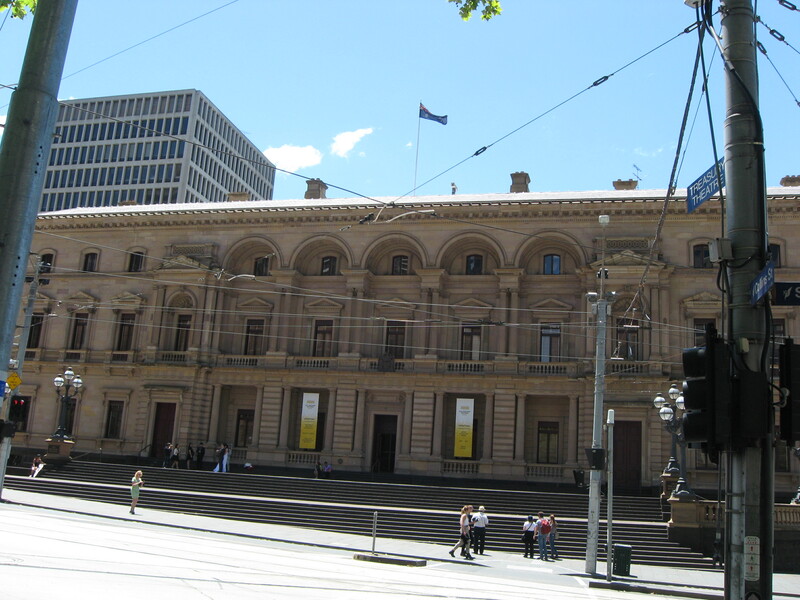 It’s a proud building that boasts of the wealth that gold bequeathed to Victoria. It was built to store gold in the vaults below (which you can access) and originally provided office facilities for the Governor, the Premier (then called the Chief Secretary), the Treasurer and the Auditor General. It is still used today for Executive Council meetings. The left hand side of the building usually has a bride or two hovering around it because it’s the home of the Victorian Marriage Registry (as you can see if you click to enlarge the image above). We were fortunate to see the Executive Council rooms upstairs because they’re not always open. I’ve obviously been dwelling in pre-Responsible Government days for too long, because I’m rather ashamed to admit that it hadn’t occurred to me that there even IS an Executive Council any more. In Port Phillip during Judge Willis’ time (i.e. prior to Separation), the executive council of New South Wales consisted of about 5-7 men, all appointed by the Crown and on the Executive Council by virtue of their substantive positions i.e. the Governor himself, the Commander-in-Chief of the Forces, the Lord Bishop of Australia, the Colonial Secretary, the Colonial Treasurer, the Chief Justice and the Attorney General. You don’t tend to hear much about it, because the Legislative Council was much more significant in the granting of Responsible Government. But here we are, 170 years on in the separate state of Victoria, and the Executive Council, which meets in this room,now consists of the governor and the senior ministry (although I do wonder how they all crowd around the table). It was pleasing to see photographs of the current-day Executive Council with both men and women, compared with the rather dour and serious men-in-suits in some of the older pictures in the corridor outside. The exhibition of early Melbourne paintings is also on the first floor. You can only see them through a tour (Mondays 2.00pm. from Jan 20th or other times by appointment $8.00). I purchased the catalogue because there’s images there that I have never seen before. Many of them are from the Roy Morgan Research Centre collection. 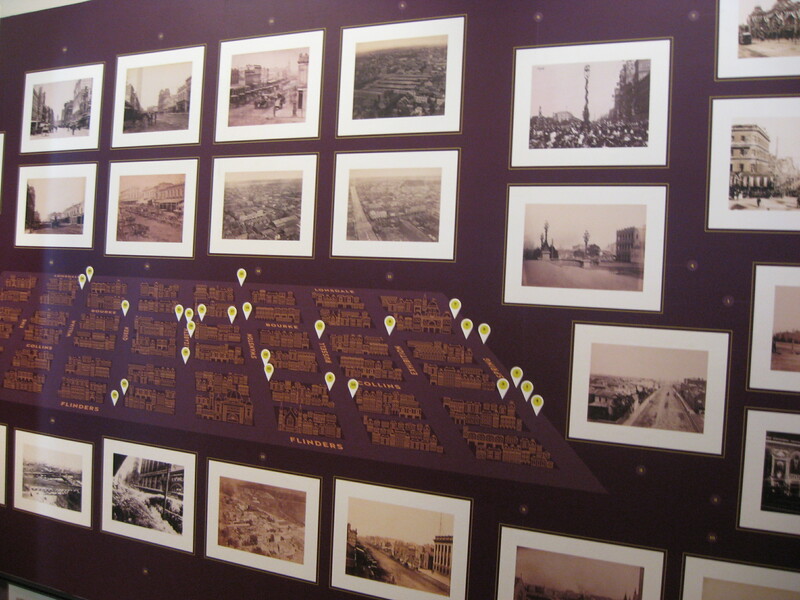 The museum downstairs has a large permanent display, but the first two rooms have special displays, and at the moment it’s of the streets of Melbourne, with an emphasis on the Hoddle Grid. There are some fascinating maps there, and various surveying instruments and artefacts. This is a fantastic museum and I’m pleased that it has survived and is still free after the earlier City Museum closed there. You can see (and purchase) a terrific video of a trip on a cable car just before it closed during WWII, the exhibitions change frequently, and there’s actually something real in the museum to see, as distinct from a series of ‘experiences’ and ‘immersions’ that we seem to be fobbed off with in museums these days.